When the crash of the U.S. stock market became public knowledge in the fall of 2008, it was already old news. The real crash, the silent crash, had taken place over the previous year, in bizarre feeder markets where the sun doesn’t shine, and the SEC doesn’t dare, or bother, to tread: the bond and real-estate derivative markets, where geeks invent impenetrable securities to profit from the misery of lower- and middle-class Americans who can’t pay their debts. The smart people who understood what was or might be happening were paralyzed by hope and fear; in any case, they weren’t talking. 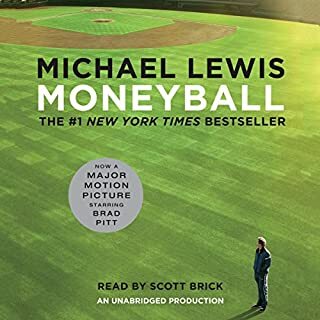 Michael Lewis turns the inquiry on its head to create a fresh, character-driven narrative brimming with indignation and dark humor, a fitting sequel to his number-one best-selling Liar’s Poker. "Who got it right?" he asks. Who saw the ever-rising real-estate market for the black hole it would become, and eventually made billions of dollars from that perception? And what qualities of character made those few persist when their peers and colleagues dismissed them as Chicken Littles? Out of this handful of unlikely—really unlikely—heroes, Lewis fashions a story as compelling and unusual as any of his earlier best sellers, proving yet again that he is the finest and funniest chronicler of our times. Lewis should be heralded for the way he takes a very complex idea (sub-prime mortgage default swap collateral debt obligations) and breaks it down into easy-to-understand language. 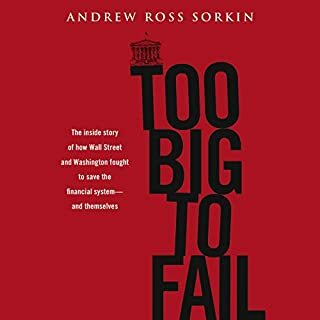 If you were at all confused about how the financial system tanked in 2008, you'll be glad you read this book and also pretty disgusted at the kind of magical thinking that went on on Wall Street. But what makes this book readable is his characterization of three oracular entities (Mike Burry, Steve Eisman, and the Cornwall Capital Group) that foresaw the collapse before anyone else ever did. The characters come across as misanthropic, boisterous, and naive respectively and allow the reader to see the tragedy through three very different perspectives. A read you won't want to put down (...or turn off). Finally, I understand what happened! I could not believe how captivated I was by this book from start to finish. I have no interest in Wall Street, stocks, bonds etc, but this book brought that world to life for me. If you have ever wondered what caused the meltdown in our economy this book will answer that question and then some. It was scary, entertaining and most of all a cautionary education about the true nature of our economy and it's fragility. Download it and listen... you will never look at your investments the same way again. I have read a bunch of books about the 2007 financial crash. By focusing on the people that made a lot of money from the crash, this book explains quite clearly the underlying causes of the crash. Unfortunately this book requires a bit of understanding of how markets and financial products work. If you have these basic understandings, this is the best of the bunch of books examining the 2007 crisis. Not only were the characters quite fun to read about, but the story helped explain the underlying causes of the crisis in an interesting and compelling way. I generally recommend this as a great place to start if you want to understand the mechanics of what happened in the financial crisis of 2007. This is fun and funny, interesting and educational. It did everything I was hoping for and more. It delved into both the technical details and personalities of the sub-prime meltdown. It reads like a history but is kept interesting by interweaving finance, personalities, politics and humanity. Anyone who is interested in the meltdown or just interested in the stories of the very few people that saw it coming, this is a must read. How could the world's most advanced and enlightened economy allow an irresponsible, greedy and self-deluded congregation of Wall Street bankers to accumulate such gargantuan financial losses that the whole country was imperiled? For, as Churchill might have put it, never in the realm of economic activity have so many suffered so much at the hands of so irresponsible a group of bankers. Michael Lewis attempts to answer this question through the stories of the relatively few professional investors who took the time to dig into the subprime mortgage market and perform careful credit analysis of the loan quality underpinning the whole market. What they found was not surprising. It was a credit disaster waiting to happen. What is revealing is the reception they received from mainline Wall Street firms, their own investors, and the credit rating agencies. In nearly all cases their views were discounted ("it could never happen in the US housing market;" "subprime loan losses will not all happen at the same time") and they were dismissed as misfits. The Wall Street money machine, fueled by huge financial rewards, animal spirits and a "we know better" culture, simply moved on heedlessly to even greater risks and excess. Well worth the read, but I would start with David Faber's book ("Then the Roof Caved In") if you are new to the mortgage-backed security world of Wall Street. 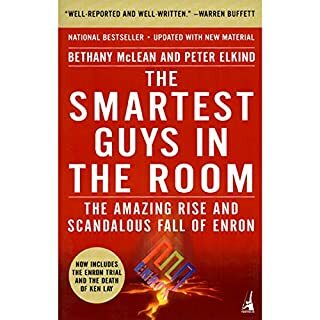 First off, this book tells its story well - its a story of the traders who saw the subprime crisis coming, and, by examining how they managed to bet against the market, the book also illuminates exactly how the subprime debacle occurred. Lewis does a wonderful job showing how so many very smart people made so many stupid assumptions, based on a mix of bad data, bad organizations ("its not my job to worry"), and the most infuriating forms of cheating, lying, and bad-dealing. My problem with the book, and it is a minor one, is that by staying so narrowly focused on this topic, it tends to follow the progression of a few traders and managers throughout the book, often in great detail. 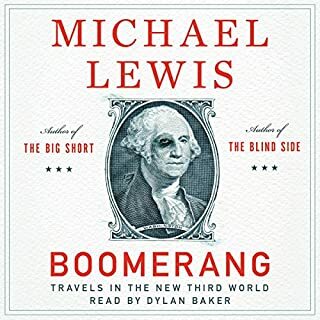 This can make it hard to follow the larger story of the context and economic dealings that surround "The Big Short", especially in audiobook format. Also, since not all of the characters are equally interesting, attention can also wander during parts. Additionally, I suspect that the truly uninitiated will be somewhat confused by terminology - the book assumes you know what "hedging" is and how it works from near the beginning, for example. While the reader is good, but not great, Lewis is still a great writer, and the story is compact, fascinating, and important. I recommend it, but perhaps only to those who know a little about the subprime crisis to begin with. In 2007-8, defaults on low-cost loans to risky (sub-prime) borrowers nearly took the entire financial edifice down. What happened? 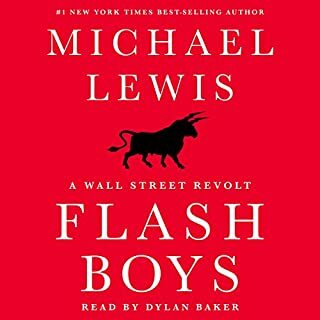 Michael Lewis' book goes a long way to explaining how a few bad mortgages caused the near-implosion of the entire American financial system in 2007-8. He goes into the nature of the individuals and players who were making these investments (bets), how they made the decisions they made and what the implications were. 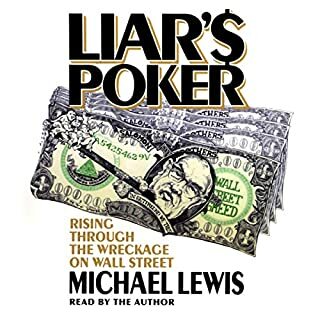 In addition to studying characters and events, Lewis provides a good explanation of the underlying nature of the investments...mortgage-backed bonds, Collateralized Debt Obligations (CDO's) and Credit Default Swaps (CDS's) that led to the investment crisis, and how they came to become such a large part of various investment strategies. If you wanted to know how these items worked and how they evolved into such a major part of the economy, this is a good place. A deep understanding of Wall Street is not needed. The book is well-written. The characters are engaging and there is enough dark humor to keep it from getting boring. It's perhaps more of a story and a little less academic than one might expect. There are a few omissions...for example, I would have like to have learned more about the rating companies' surprising willingness to give high ratings to questionable securities (Lewis talked about it, but I was left wondering about more of the details of that aspect of the story). Jesse Boggs's reading is great. He really seems connected with the author's content. 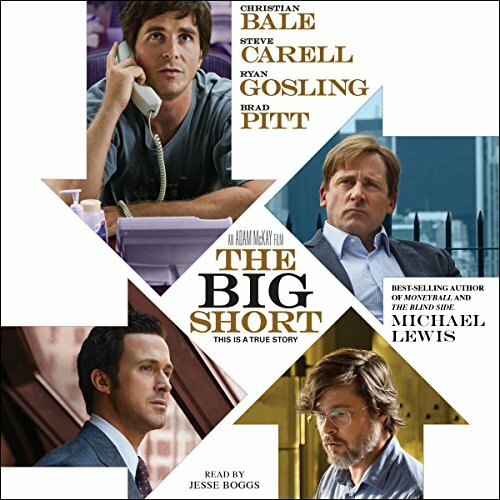 In conclusion, "The Big Short" is somewhat like Greek tragedy...the story is compelling, but the gods are toying with everyone and the listener knows the unhappy ending before the book even starts. Great storytelling and narration. However, I cannot say I understood as much here as I did reading Michio Kaku's book on parallel universes and I knew nothing of either subject when I began each book. Noting the popularity of The Big Short, I cannot help but feel a lot of people must understand financial instruments much better than I and I need to study up on the subject. The book was long on the process that brought the world to its financial knees and quite a bit shorter on the story of the people involved. After reading this book, I finally understood what caused the market crash in 2008. It was so inevitable and the few who saw the coming disaster profited greatly. Michael Lewis made a very, very complex problem understandable. I finally understand what a credit default swap is. Warning! This book is not for the financially faint of heart. Well worth the effort. Complex material but very understandable. Enjoyable to listen to and great insight into what actually happened.